This is a free movie ticket good for any unrestricted 2D feature film admission. This will be immediately loaded to your Regal Crown Club card. 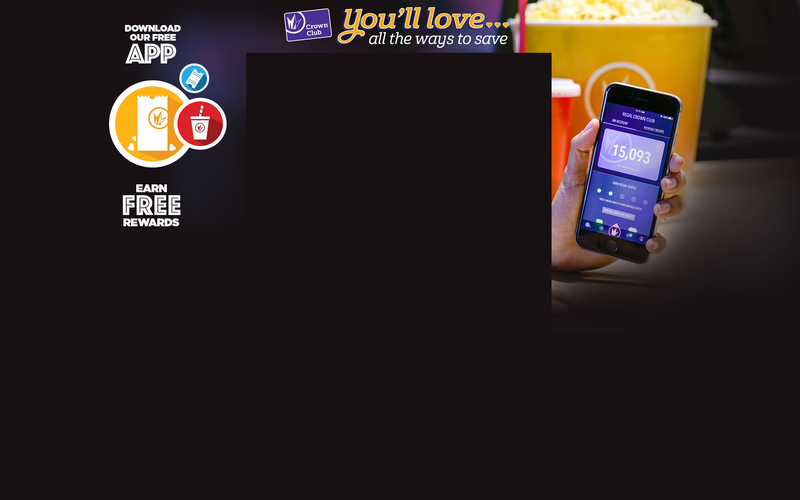 Simply present your card at the box office on your next visit to redeem this ticket or redeem in the Regal mobile app. This ticket can be upgraded to include restricted movies as well as premium formats like 3D, IMAX and RPX for an additional charge. This reward is not valid for website or kiosk purchases. Valid only at participating locations. This product expires 90 days after purchase. This product can be used in person at the box office and in the Regal Mobile App.